Essential oils have changed my life in so many ways. Essential oils got rid of my developing cancer cells after nothing else worked including scraping the sick cells off. I don’t have Anemia now because of using an essential oil every day. The list goes on and on, although, we have to be pretty careful about how we talk about essential oils, due to FDA regulations. The truth is, we don’t have freedom of speech in this area at all. Really, the only safe thing TO say about how essential oils can really affect your life is how they affect our emotions and so, essential oils recipes like diffuser blends are pretty popular. Not only they make your home smell heavenly, but they are also extremely good for you! Smelling essential oils affect our amygdala gland, the gland that stores and processes emotions. Therefore, every essential oil we smell, affects us in one way or another. One of the most popular ways of enjoying those wonderful essential oils scents is by diffusing a couple of drops in a diffuser. What many people don’t know is that you can create your own blends! So if one essential oil has an amazing property and health benefits, imagine blending some of them to get the best results! That’s why I created the Essential Oil Recipes 200+ Diffuser Blends Binder (!! ), so you can take diffusing essential oils to a whole new experience. 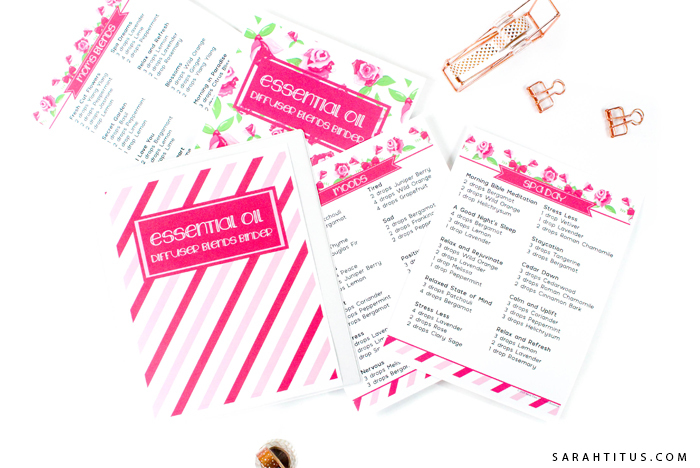 You’re sure to find a new blend for every one of your needs in this Essential Oil Diffuser Blends Binder. 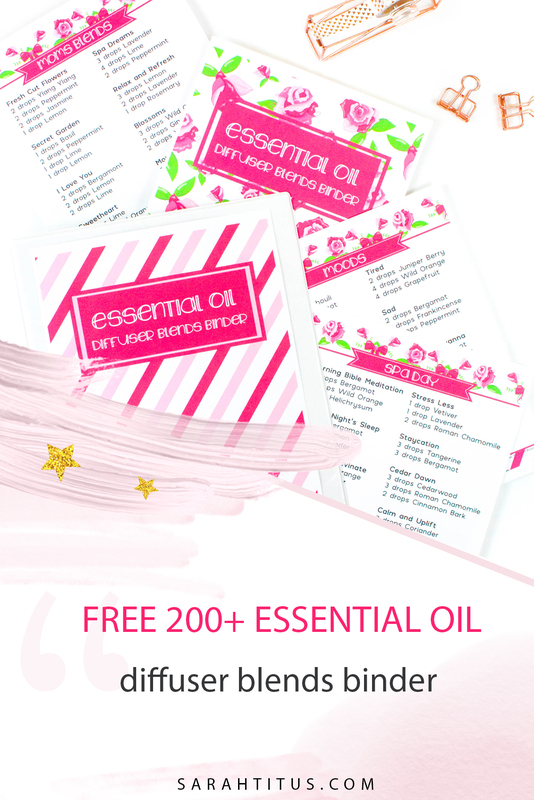 This Essential Oil Recipes – 200+ Diffuser Blends Binder is full of amazing blends for anything you can think of. Enjoy relaxing at home by diffusing these powerful blends. Mood: for when you feel worried, tired, anxious, stressed, sad, happy, calmed, focused. Get the Essential Oil Diffuser Blends Binder here.